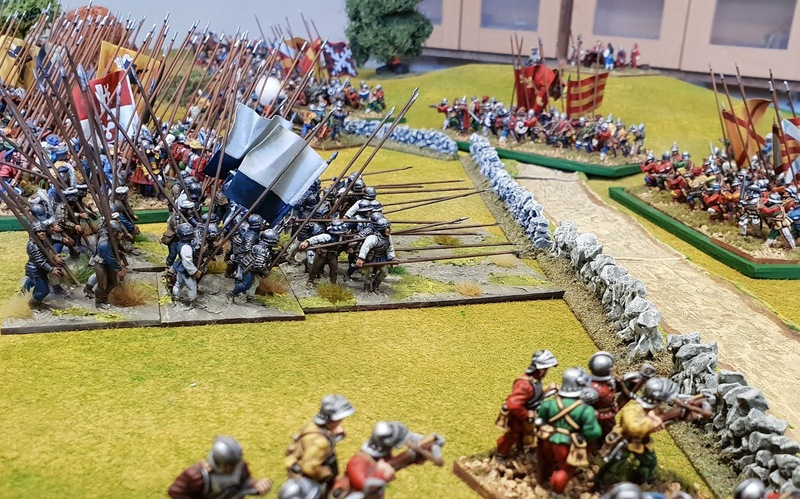 A few weeks ago I got to visit James in nearby Olicanaland and have a game with his cracking Italian Wars collection (plus a guest appearance from some YG units). It was my first game of Piquet too, a quite old set of rules which played very well, I will definitely give them another go. The post discusses the rules and the game but if you can't be bother to read there are lots of nice pictures. Mixed fortune for the Yarkshire Gamer contingent, the Borgia Gendarme excelled, the Swiss Pike not so well. I played a piquet game over the weekend. Not played for a while but really enjoyed – the command and morale systems are excellent – less than convinced about the combat but it's easy enough to graft a combat system onto. Beautiful game – love those minis! As for the pike – they need a bigger paycheque! Pas d'argent, pas de Suiss! Lovely looking game, and very interesting to have the run through of Piquet. Great report(s) and I'm glad you enjoyed the game! It appears that James used a modified version of Field of Battle – a Piquet stand alone game. Field of Battle isn't the same as Piquet in many ways, primarily in that it completely eliminates the "I never get to do anything" complaint. 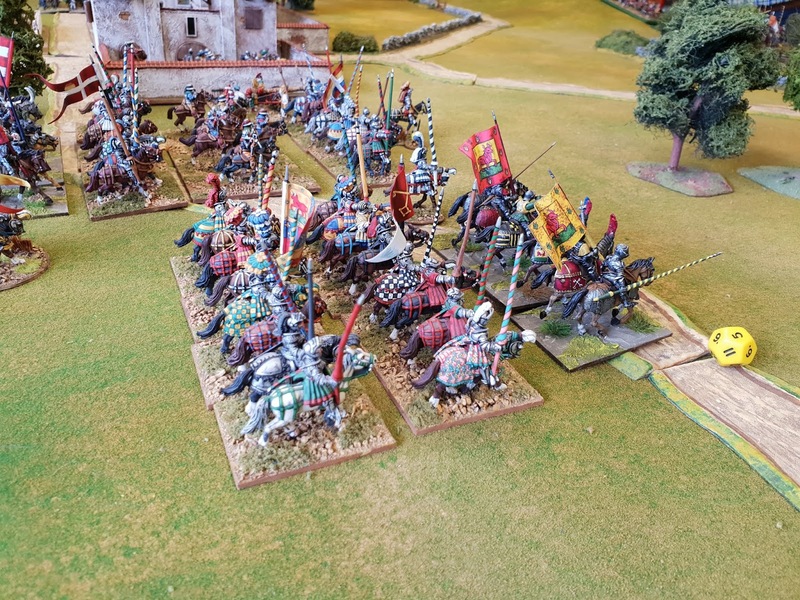 I always enjoy reading the reports of James's Italian Wars games. They are very inspirational for those of us starting out in the Italian Wars period. I also like the painting style of your figures, it is different to those of James, but no less impressive. Always a good read and photos from Olicana.